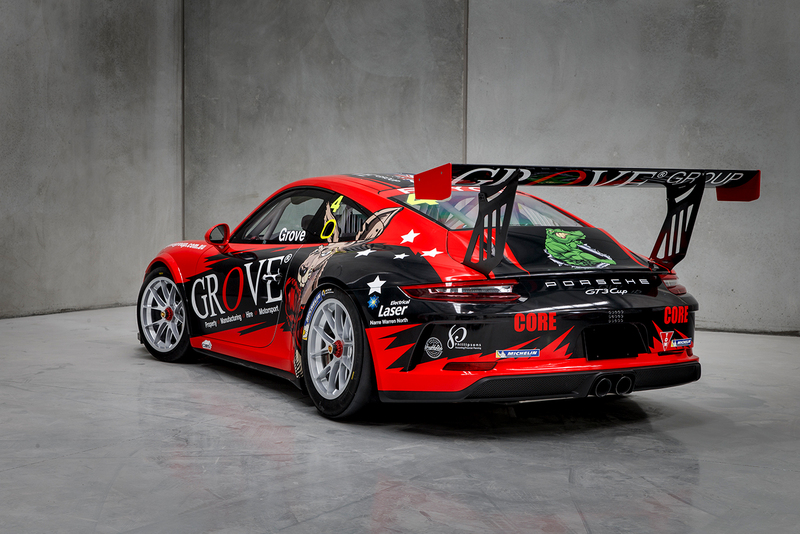 As a new season of Porsche Wilson Security Carrera Cup Australia dawns, local squad Grove Racing will gear up for the season opener at the Adelaide 500 this weekend. The Melbourne-based operation, which has recently moved to a brand-new facility in Pakenham Victoria, dedicated to its motorsport program, will embark on its 2018 campaign this weekend at Round 1 of the series on the streets of Adelaide. Team owner and defending TAG Heuer Carrera Challenge class champion Stephen Grove will return to Carrera Cup Australia having won February’s Liqui-Moly Bathurst 12 Hour in class alongside son, Brenton Grove and Brit, Ben Barker. 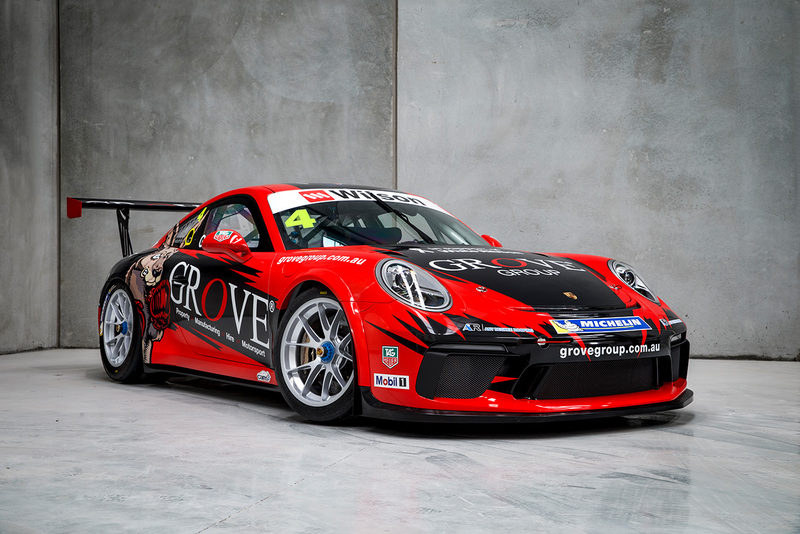 Grove Racing will also field a fresh livery on the new generation Porsche 911 GT3 Cup, featuring backing from Grove Group and fragments from their Bathurst 12 Hour scheme, including a boxing Kangaroo. 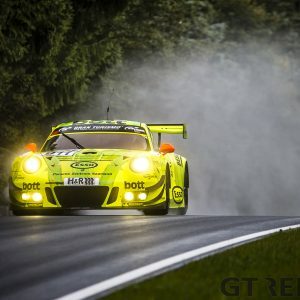 The veteran racer will enter the weekend after gaining valuable hours of experience behind the wheel of the new car when he raced in the 24H COTA last year and the Dubai 24 Hours in January. Grove is excited to tackle this year’s championship, in what will be his seventh season racing in the series after debuting at Townsville in 2012. “It was great to be able to claim a second title last year, however, that’s pretty firmly in the past,” said Grove. This weekend’s round will run on the support card for the Adelaide 500, one of the biggest sporting events in Australia all year round. 3.2km and 14 turns define the historic, concrete jungle like circuit, which in its previous iterations hosted the Australian Formula One Grand Prix between 1985 and 1995. It’s a venue Stephen has a lot of experience on, and he can’t wait to get out on track on Thursday for opening practice. “The Adelaide 500 is an outstanding event, and I’m excited to be kicking the season off around the streets of Adelaide,” added Grove. While Stephen is racing in Carrera Cup, his son, Brenton, will make his debut in the Dunlop Super2 Series on the weekend as well. 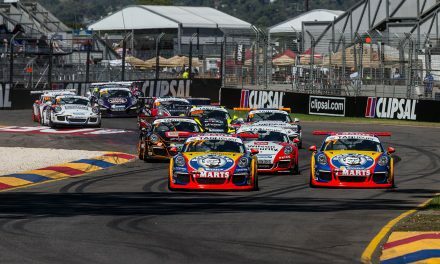 The Adelaide 500 begins with opening practice for Carrera Cup on Thursday at 11:35am local time, while Race 1 takes place on Friday at 12:45 pm local time. Fox Sports Channel 506 will broadcast every one of Stephen and Brenton’s sessions and races live across the weekend in Australia. 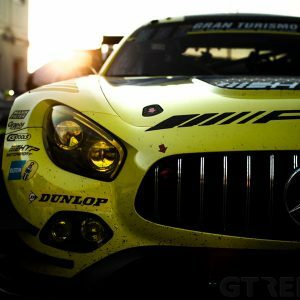 This article was originally published as a press release for Grove Racing by Slade Perrins and Paddock Pass Media. 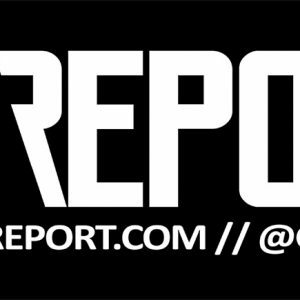 Subscribe to the mailing list by by clicking here to receive yours directly to your inbox.